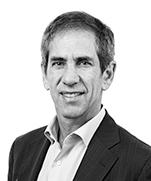 Charles (Chuck) Spector leads the Dentons national Corporate Law practice group. He is a partner in the Dentons Montreal office. Chuck's practice covers a wide range of commercial transactions focusing primarily on public and private corporate and project financing, takeovers, and mergers and acquisitions. Chuck has published articles on a variety of subjects including government regulations affecting the petroleum industry, the duties of the board of directors during a hostile takeover and independent power project financing in Quebec. Chuck is a director of several private and public corporations and active in the management of the firm at both the local, national and global levels. Cannara Biotech (Operations) Inc.: Advising in relation to an amalgamation/reverse takeover and going-public transaction. Cannara Biotech Inc.: Advising in relation to a $37.4 million subscription receipt funding round. Capcium Inc.: Advising in relation to a $24.4 million convertible debenture financing. Clementia Pharmaceuticals Inc.: Advising on its US$137.9 million initial public offering of common shares on the NASDAQ Global Select Market. Andersen Corporation: Advising on the acquisition, through an affiliate, of Fenêtres MQ Inc., a luxury window and door manufacturer, and of its related holding and operating companies. BlackRock Metals Inc.: Advising on its CA $20 million private placement of common shares with Orion Mine Finance Group and Ressources Quebec. Boralex Inc.: Advising on its CA$172.5 million bought-deal public offering of subscription receipts for its acquisition of CA$238.5 million economic interest in the 230MW Niagara Region Wind Farm. Cannara Biotech Inc.: Advising in relation to a $17.7 million common share funding round. Capcium Inc.: Advising on its equity and loan financing in connection with the construction of a new encapsulation facility. Capcium Inc.: Advising in relation to an equity investment by Aurora Cannabis Inc.
Cascades Canada ULC: Advising on the acquisition of container packaging sector assets. Cascades Inc.: Advising on its CA$287.5 million sale of Class A shares of Boralex Inc. to the Caisse de dépôt et placement du Québec. Global Brands Group: Advising on its acquisition of BCBG Max Azria Canada Inc.
NAPEC Inc.: Advising on its US$33 million acquisition of PCT Contracting LLC. Pershimco Resources Inc.: Advising the Special Committee of the Board of Directors of Pershimco Resources Inc. on its CA$95 million combination with Orla Mining Ltd. by way of plan of arrangement. Power Survey and Equipment Ltd.: Advising on its acquisition of Power Standards Lab, Inc. Syndicate of Underwriters led by GMP Securities LP: Advising on several bought deal public offerings of Knight Therapeutics Inc. common shares for gross proceeds in excess of CA$500 million. Boralex Inc.: Advising on its CA$143.75 million bought-deal offering of 4.5% convertible unsecured subordinated debentures. Boralex Inc.: Acting as Canadian counsel on its acquisition of Enel Green Power France for total net consideration of $400 million (€280 million), making Boralex the largest independent wind power producer in France. Boralex Inc: Advising on its CA$124 million bought-deal offering of common shares. Cascades Inc.: Advising with respect to the sale of certain of the folding carton converting and paperboard mill assets of Norampac, a division of Cascades Canada ULC. Cascades Inc.: Advising in connection with its concurrent note offering of US$550 million and CA$250 million senior notes. Cascades Inc.: Advising in connection with its offer to purchase all of its outstanding US$500 million and CA$200 million senior notes. Clementia Pharmaceuticals: Advising on its US$60 million Mezzanine financing. Knight Therapeutics Inc.: Advising on the US$30 million senior secured credit facility it provided to CRH Medical Corporation to finance CRH’s acquisition of the business, Gastroenterology Anesthesia Associates, LLC. Knight Therapeutics Inc.: Advising this leading Canadian specialty pharmaceutical company in connection with its investment in Ember Therapeutics, Inc. a privately held, New York-based biotechnology company. Knight Therapeutics Inc.: Advising this leading Canadian specialty pharmaceutical company in connection with its US$15 million secured loan to Pro Bono Bio PLC. 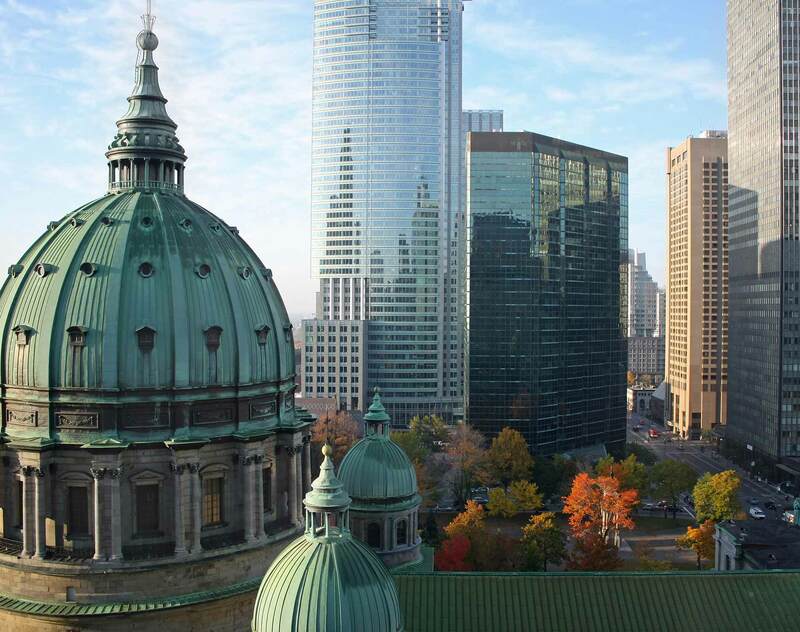 Confidential client: Advising on registration issues, including the acquisition of registrants, under the Securities Act (Québec), and other similar provincial legislations. Dr. Tax Software Inc.: Advising shareholders on its sale to Thomson Reuters. Cascades Inc.: Advising in connection with the CA$400 million sale of the shares of its Dopaco, Inc. and Dopaco Canada Inc. subsidiaries to Reynolds Group Holdings Limited. Adamus Resources Limited: Advising with respect to its CA$313 million combination by way of a plan of arrangement with Endeavour Mining Corporation. Bridgewater Systems Corporation: Advising on its CA$211 million acquisition by Amdocs Limited by way of plan of arrangement. Tembec Industries Inc.: Advising on the private placement of US$225 million senior notes and the subsequent cross-border exchange offer. Consolidated Thompson Iron Mines Limited: Advising with respect to its CA$4.9 billion acquisition by Cliffs Natural Resources Inc.
Consolidated Thompson Iron Mines Limited: Advising on its US$250 million secured revolving credit facility. Boralex Inc.: Advising on its CA$226.5 million successful take-over bid for Boralex Power Income Fund. Boralex Inc.: Advising on its bought-deal offering of CA$109.25 million aggregate principal amount of convertible debentures, including an initial CA$95 million offering and an additional CA$14.25 million offering pursuant to the exercise of an over-allotment option. WowWee Group Limited: Advising a group of insiders on its successful take-over bid of Optimal Group Inc.
Consolidated Thompson Iron Mines Limited: Advising on its private placement offering of US$100 million of senior secured bonds. Cascades Inc.: Advising on concurrent senior note offerings of US$500 million and CA$200 million, and a follow-on of US$250 million. Pinnacle (Pinnacle Security, LLC, Pinnacle Security CA, LP, and Pinnacle Alarm, LLC): Advising on its senior secured amended and restated U.S. and Canadian syndicated credit facilities in the aggregate amount of US$102 million. Cascades Inc.: Advising on CA$60 million acquisition of the tissue division assets of Atlantic Packaging Products Ltd.
Paladin Labs Inc.: Advising the underwriters on multiple equity financings. Boralex Inc.: Advising in connection with its acquisition of Ocean Falls hydroelectric power station located in Northern B.C. Cascades Inc.: Advising on its CA$81 million sale to PaperlinX Canada Limited. Confidential client: Advising the lenders in connection with a CA$80 million syndicated loan for the financing of a wind farm in the province of Quebec. Forage à Diamant Benoît Ltée: Advising in connection with its acquisition by Major Drilling Group International Inc.
Maritime Electric Company Ltd.: Advising the arranger/agent and purchasers on a CA$50 million private placement of First Mortgage Bonds. Skyservice Airlines Inc.: Advising in its acquisition by Gibralt Capital Corporation. Boralex Inc.: Advising on the completion of the CA$110 million bought deal offering. Cascades Inc. and Norampac Inc.: Advising in connection with a series of cross-border senior note financings (US$850 million). Conjuchem Biotechnologies Inc.: Advising the underwriters in multiple equity financings. Aéroports de Montréal: Advising on its issue of series "H" reserve bonds (CA$300 million). Boralex Inc.: Advising in connection with the creation of Boralex Power Income Fund (CA$268 million IPO and a subsequent CA$165 million offering). Cascades Inc: Advising in connection with CA$560 million purchase of Domtar Inc.’s 50% stake in Norampac Inc. and the related equity financing. Technilab Inc.: Advising in connection with its takeover by Ratiopharm GmbH (CA$77 million). Provigo Inc.: Advising in connection with its takeover by Loblaw Companies Limited (CA$1.6 billion). Various clients: Advising several financial institutions in connection with construction and term loans to various private power producers. Junex Inc.: Advising this Quebec-based oil and gas exploration company in connection with its exploration and production agreements with Team Energy and Forest Oil Corporation. Confidential client: Advising the lender in connection with a bridge loan of CA$550 million to finance the acquisition of a publicly-held real estate investment trust. Columbia University (New York), 1989, LL.M.